Recent studies show that 64.7 million adults, 30 years of age and older have periodontitis, also known as gum disease. Dr. Derek B. Hauser, DDS, is a leading dentist in the Inland Empire with expert knowledge in periodontal treatment. Call (951) 244-9495 to schedule a consultation for a thorough exam and treatment. Your oral health can affect the entire body’s immune system. Most of us are taught from a very young age about the importance of brushing your teeth every day. Still, nearly half of adults in the country need periodontal therapy to help alleviate the resulting damage of not taking care of our mouths properly. Lakefront Family Dentistry is fully committed to providing convenient, effective treatment options using innovative technological solutions. Our mouths are the entryway to many things, including lots of bad bacteria. When combined with mucus and other particles that come through the mouth, bacteria turn into plaque on surface tooth enamel. Left untreated, plaque hardens and turns into dense tartar, which can’t be removed by brushing alone. If not professionally removed by a registered dental hygienist, tooth plaque and tartar will lead to gingivitis, which is a mild form of the disease. Tartar and bacteria that are not removed properly may result in periodontitis (an advanced stage requiring periodontal disease treatment), if left untreated. As bacteria spreads, it causes the gums to pull away from the teeth, allowing the infection to invade the surrounding bone and tissues that hold the teeth in place. Without periodontal therapy, patients risk continued damage and deterioration of the mouth cavity, which sometimes results in a loose tooth that ultimately requires extraction. Lakefront Family Dentistry understands the damage that an infected mouth can cause. That’s why we take extra care and precaution, using the latest and most advanced technology to help diagnose and provide early stage treatment. What Can I Do to Maintain My Family’s Healthy Mouth and Gums? Fortunately, there are many things we can all do to have a healthier oral cavity and reduce the need for periodontal disease treatment. Most providers recommend their patients floss daily and brush two times a day. By doing this, you reduce the amount of bacteria and decrease the risk of plaque forming into hard tartar. When visiting our dentist office, Dr. Hauser will discuss specific recommendations to help promote good dental health for your family. We focus on preventive dentistry, and our staff has the skills and experience to recommend ways to improve your dental hygiene. 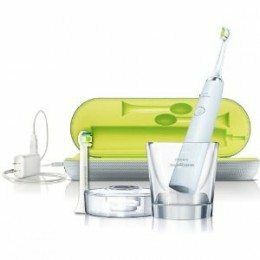 In our office, we carry a line of Sonicare electric toothbrushes for patient convenience and education. There are several models to choose from. The new DiamondClean model was shown in clinical studies to reduce plaque and gingivitis 2–4 times more than a manual toothbrush after just 4 weeks of use. What Periodontal Disease Treatment Options Do I Have? When visiting Lakefront Family Dentistry for a consultation and exam, Dr. Hauser and his Registered Dental Hygienists will recommend and explain the benefits of treatment. Today’s technological advances have made several non-surgical treatment procedures available. 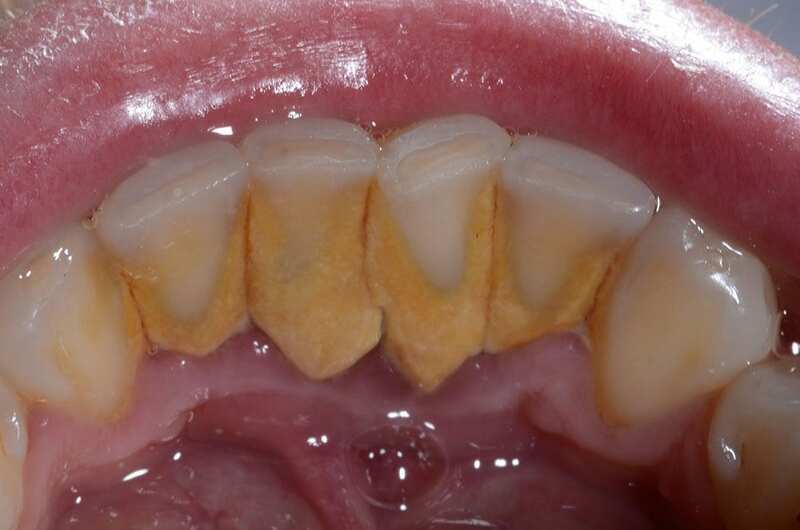 Mild-to-moderate cases of periodontitis can be controlled non-surgically. Our professional dental hygienists may be able to remove hard tartar by using professional teeth cleaning equipment. Moderate cases of infection are often treated by using a deep cleaning technique called scaling and root planing. During this periodontal treatment procedure, we use special equipment to scale away the accumulated plaque and tartar. The rough spots on the tooth surface are smoothed to remove all infectious bacteria. Follow-up care at home is absolutely essential in order to maintain a healthy oral state. We may also send you home with an antimicrobial mouthwash or other antibacterial medications and prescription toothpaste. Patients who trust their oral care to us receive unparalleled service, focusing on total patient comfort. Our state-of-the-art facility was designed your comfort in mind. We proudly house premium quality furniture and stylish décor intended to create a calm, inviting atmosphere for all who visit. Lakefront Family Dentistry is one of the few dental facilities in Riverside County to invest in the latest, technologically advanced equipment. Dr. Hauser is a fully qualified and well-experienced provider of same-day cosmetic restoration procedures. Using the revolutionary CEREC system, Dr. Hauser uses computer assisted software and manufacturing equipment to generate digital mouth impressions. The virtual images are used to help design perfect and flawless porcelain crowns, veneers and bridges…while the patient waits! for 10 Years, which Means You Can Get New Crowns or Veneers in Just One Visit. Trust Lakefront Family Dentistry for your periodontal treatment care needs and many other advanced cosmetic restoration procedures. Please call (951) 244-9495 and schedule an appointment with the leading dentist in Riverside County, or make an appointment online with us today!